Owls have been everywhere these days! I found this yummy dusty purple yarn and immediately thought of an owl. 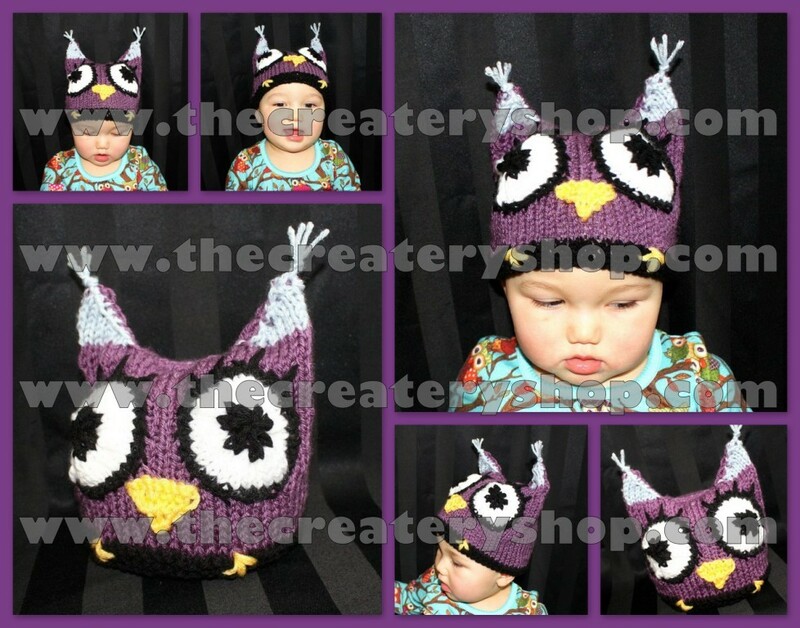 I wanted to include the owl feet (claws) to look like it was sitting on top of the baby’s head. Not that it would ever happen in real life! Super cute anyways and really fun to knit! By the way, this hat is knitted in one piece, in the flat, and nearly seamless! Great for those who don't like dealing with double point needles or circular needles!